So you want to DJ at a club? There really is nothing more exiting than getting your first DJ booking and playing at a venue. 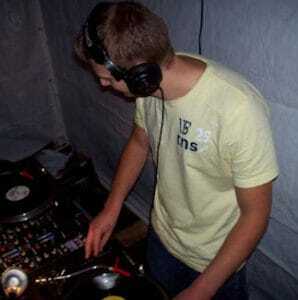 But many DJs have failed on their first attempt, big time! This post contains all of the things you need to know to land that first gig and nail it! You need to do a little preparation, a little research into the venue, and get yourself ready to play somewhere that can overwhelm the best of bedroom DJ's. The decks are set up on a nice level and sturdy table. The kit layout is just how you like it and the volume is set to a nice comfortable level. You can play whatever you feel like playing, and if you mess up nobody is there to laugh at you. You get used to this and every time you play, nothing is ever different. When you're asked to DJ at a club, you need to be prepared by knowing exactly what to expect. You also need to be ready to deal with poor kit, a tough crowd, extreme noise and low light. Everybody will feel overwhelmed and out of place the first time they DJ at a club. But with the help of this article you'll be a few steps ahead of the rest before you even leave the bedroom. What DJ equipment do clubs use? All clubs will be using good reliable equipment, but the choice of set-up can vary from club to club. The industry has been dominated by Pioneer equipment for a long time now. Ever since the Pioneer CDJ 1000 made its mark and proved itself as a bulletproof player, Pioneer has become the industry standard. 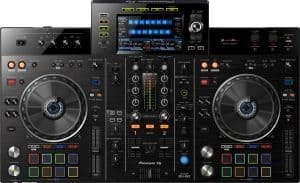 You will need to familiarise yourself with the Pioneer CDJ-2000NXS2 and the Pioneer DJM-900NXS2 mixer as this is a popular set-up. Some clubs will still have the older CDJ-2000NXS or even the CDJ-1000 MK3. Some will have different kit altogether. Many clubs use controllers and digital DJ software. But just because Pioneer is the industry standard don't expect every club to use them. If you've never played there before it's worth turning up to the venue a little early to familiarise yourself with the setup. It's likely that one day you will turn up to a club that uses DJ controllers instead of independent players with a mixer. Therefore you should be ready to use a controller and know the basics of working one in conjunction with a computer and software. Be prepared with the right kit. Before you head over to DJ at a club you need to pack the right items in your bag. Very few clubs will have a set of headphones so make sure to always pack your own. Mixers can vary so take a jack plug adaptor for your headphones to change it from a 1/4" to a 3.5mm (1/8"). You get into the habit of just leaving your headphones on your mixer after playing in your bedroom. So make sure to break this habit and take them with you after you've finished paying. This sounds a bit obvious but during the rush of handing over it's easy to forget them. And don't forget your adaptor, this is definitely the most common item for a DJ to lose. For a full list of the most important items that you need to pack in your gig bag click HERE. Take plenty of music. Like I mentioned before you can't rely on all clubs using the CDJ-2000NXS2 or using software. Don't just turn up with a USB stick expecting to play all of the tracks directly from your library. Take your CD case. Yep that's right, you might still need to use good old fashioned CD's. Take a good selection of the newest music you have and a few classics as a back up for a tough crowd. A back-up USB stick is also worth taking just in case the other one decides to suddenly quit, it happens. The energy and the environment are always different everywhere you play, so never get comfortable or complacent. When you're playing in your bedroom you will always have a nice well lit room. You can easily see all of the buttons on your equipment. And if you're using CD's you can see what's on each CD before you insert it. When you DJ at a club, this is totally different. Most clubs are very dark and rarely have any extra lighting in the DJ booth. This will make a difference to how well you play and could take you by surprise when you first encounter it. I have even seen DJ's mixing whilst wearing head torches, like the ones cyclists wear. This seems a little weird but actually helps a lot, and looks pretty cool! 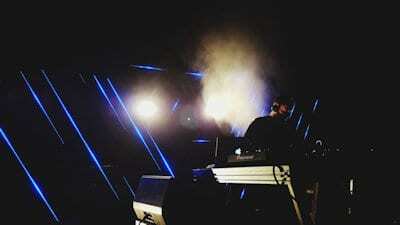 DJing outdoors can be very similar but instead of not enough light, you have too much. The sun may be directly on the CDJ's, and you won't be able to see the digital display. Even just a bright sky reflecting off the display can make things hard. This is where you really need to know the tracks you are playing. If you can't see the display you won't know where the breaks are in the track, or how long you have to mix out of it etc. When you DJ at a club you'll also notice just how much louder everything is compared to your bedroom. You'll be used to having your master volume set to the same level each time you play, and you'll rarely adjust the headphone volume. As soon as you drop that first track you'll put your headphones on and the previous DJ would probably have left them turned right up. Get them to your desired volume right away so you can crack on with the mixing. Next you'll notice just how loud and direct the music is. No doubt you have a great sound system in your bedroom, but the sound in a club is on a whole different level. This could be a little overwhelming the first time you play and really takes some getting used to. It's worth practising in your bedroom using different volumes than you're used to. Turn it up higher, but also turn it down very low. This will help to prepare you for loud crowds drowning out what you hear in the headphones. When the crowd is very close to the DJ booth this is quite common. You may even want to get yourself some DJing ear plugs to protect your hearing. These insert into your ear but have a small hole through the centre. They basically filter some of the harmful bass heavy sounds without affecting your mixing. Before you DJ at a club you should practice mixing wearing the earplugs. Again, turn the volume up higher than you're used to and get a feel for mixing whilst wearing them. Another common thing you'll get is the kit moving around because of the bass. The decks and mixer can vibrate and jump around as you're mixing which can really make things difficult. If you take a laptop make sure it's secure. The laptop may also jump around and you could end up with a broken laptop. Very late time slots can have an impact on your mixing. You'll probably be accustom to mixing at home no later than about 9pm before your family goes to bed. Most clubs don't open their doors until 10pm and you could be given a DJ slot at a time you'd normally be tucked up in bed. You may even be playing in a different country. In this case you'll also have to deal with jet lag. If you're half asleep at the decks how will that look for the crowd? When you DJ at a club you need to be on top of your game at whatever time slot you are given. Some people have no problems staying awake and alert all night, others struggle. And most people have a problem dealing with jet lag. If you think tiredness could be a problem, try getting a short nap in before you head out to play. When you DJ at a club, bar, or any other venue the crowd is something you need to be aware of. When you play in your bedroom you're just playing for yourself. As soon as you're playing for other people, things can get a little more tricky. Read my guide to crowd reading here, this is an important skill required by all DJ's. You need to make the right selections for the specific crowd you're playing to. Crowds vary at every venue, you need to be aware of what they're expecting to hear. You need to play to the crowd and play what makes them happy. If you don't you'll have an empty dance-floor and they won't want to see you play again. You also need to be on the same wavelength as the crowd you're playing too. If the crowd is going totally nuts, go totally nuts behind the decks and do what they're doing. Don't be boring, interact with the crowd through every part of the set. Dance, smile and make sure you're having the time of your life every time you play. What we've learned on leaving your bedroom to DJ at a club.. Try to use club standard kit at home. Practising on the same kit that is used at most clubs will improve your sets when you're playing out. Pack the right kit. Always remember to take the kit you will need, headphones, adaptor, usb stick, laptop and CD's etc. Take lots of music with you, you never know what the crowd will want to hear until you get there. Be ready to deal with different environments, if it's very dark you may even need a torch to see your CD's etc. Try to recreate different environments in your home studio. Turn the lights off, turn the volume up and make thing as difficult for yourself as possible. Get yourself some DJ earplugs, this will save your hearing in the long run and protect you from tinnitus. Get used to mixing at funny time-slots. You could try getting out of bed at 4 am and mixing. This seems a little extreme but this could be a reality one day. Just think of your family and keep the volume low. Do your research on every club you play at. Speak to the owners and find out what the usual crowd is after. Aim to please them in every way possible and get on the same vibe as soon as you drop your first record. Playing out is the most fun part of DJing, this is what you've been building up to. All of the hours spent practising have finally paid off and now you're ready to show the world what you've got. Don't mess it up on the first night by neglecting the crowd. They're there for the time of their lives and you're the biggest part of making it happen. If the feedback is bad you may never get to play at that venue again, so make sure everything you've read is in place before even attempting it. Get it right and the club owners will wan't you back time and time again. After-all, keeping the ravers happy and coming back is what makes the venue money. Before you DJ at a club it's worth getting rid of any bad habits. Learn all about the most common DJ mistakes in > THIS ARTICLE. So if you think you're ready to DJ at a club, get out there and do it. It'll be the most fun experience you ever have.